voor Centralized log & analysis appliance - 4 x GE RJ45, 12 TB storage, up to 75 GB/Day of Logs. Lack of visibility continues to extend breach and compromise events to an average of more than 100 days. For each day an organization is exposed it’s another opportunity for attackers to get to sensitive customer and confidential information. FortiAnalyzer delivers critical insight into threats across the entire attack surface and provides Instant visibility, situation awareness, real-time threat intelligence and actionable analytics. 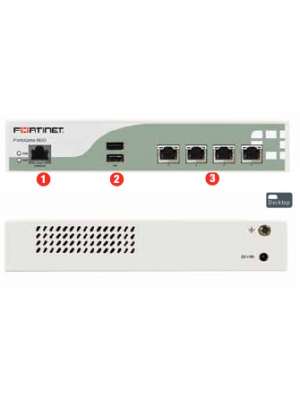 With action oriented views and deep drill down capabilities, FortiAnalyzer Offers Centralized Logging and Reporting for Fortinet's Security Fabric.